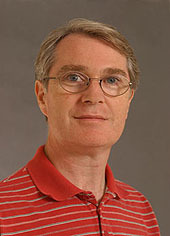 Willhammar, T., Su, J., Yun, Y. Zou, X.D., Afeworki, M., Weston, S.C., Vroan, H.B., Lonergan, W.W. and Strohmaier, K.G. "High-throughput synthesis and structure of zeolite ZSM-43 with two-directional 8-ring channels"
Morris, A.A., Bignami, G.P.M., Tian, Y., Navarro, M., Firth, D.S., Cejka, J., Wheatley, P.S., Dawson, D.M., Slawinski, W.A., Wragg, D.S., Morris, R.E. and Ashbrook, S.E. "In situ solid-state NMR and XRD studies of the ADOR process and the unusual structure of zeolite IPC-6"
Seo, S., Yang, T., Shin, J., Jo, D., Zou, X. and Hong, S.B. "Two aluminophosphate molecular sieves built from pairs of enantiomeric structural building units"
Jo, D., Park, G.T., Shin, J.and Hong, S.B. `"A zeolite family nonjointly built from the 1,3-stellated cubic building unit"
"A zeolite family nonjointly built from the 1,3-stellated cubic building unit"
Cichocka, M.O., Lorgouilloux, Y., Smeets, S., Su, J., Wan, W., Caullet, P., Bats, N., McCusker, L.B., Paillaud, J.L. and Zou, X.D. "Multidimensional disorder in zeolite IM-18 revealed by combining transmission electron microscopy and X-ray powder diffraction analyses"
Kang, J.H., Xie, D., Zones, S.I., Smeets, S., McCusker, L.B. and Davis, M.E. "Synthesis and characterization of CIT-13, a germanosilicate molecular sieve with extra-large pore openings"
Luo, Y., Smeets, S., Peng, F., Etman, A.S., Wang, Z., Sun, J. and Yang, W.
"Synthesis and structure determination of large-pore zeolite SCM-14"
Smeets, S., Berkson, Z.J., Xie, D., Zones, S.I., Wan, W., Zou, X., Hsieh M.-F., Chmelka, B.F., McCusker, L.B. and Baerlocher, Ch. "Well-defined silanols in the structure of the calcined high-silica zeolite SSZ-70: new understanding of a successful catalytic material"
Nakazawa, N., Ikeda, T., Hiyoshi, N., Yoshida, Y., Han, Q., Inagaki, S. and Kubota, Y. "A microporous aluminosilicate with 12-, 12- and 8-ring pores and isolated 8-ring channels"
The origin of the type material name and the derivation of the associated three letter code has been added to the Type Material page. 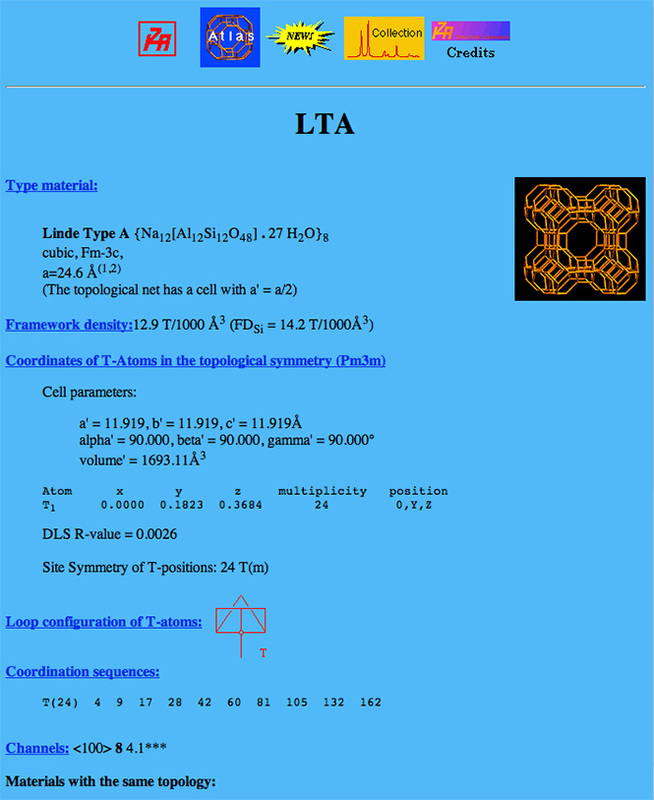 The number of topologically distinct T-atoms in the idealized framework structure has been added as a search option on the Advanced Search/Channel System page. The dropdown menus now work on mobile devices as well. Older framework drawings are being replaced by newer ones as time permits (42 done so far). Many thanks to our users for the suggestions and to our Database guru Christian Baerlocher for their implementation! Yun, Y., Hernandez, M., Wan, W., Zou, X., Jorda, J.L., Cantin, A., Rey, F. and Corma, A. "The first zeolite with a tridirectional extra-large 14-ring pore system derived using a phosponium-based organic molecule"
Turrina, A., Garcia, R., Watts, A.E., Greer, H.F., Bradley, J., Zhou, W., Cox, P.A., Shannon, M.D., Mayoral, A., Casci, J.L. and Wright, P.A. "STA-20: an ABC-6 zeotype structure prepared by co-templating and solved via a hypothetical structure database and STEM-ADF imaging"
Guo, P., Strohmaier, K., Vroman, H., Afeworki, M., Ravikovitch, P.I., Paur, C.S., Sun, J., Burton, A. and Zou, X. "Accurate structure determination of a borosilicate zeolite EMM-26 with two-dimensional 10x10 ring channels using rotation electron diffraction"
Christian Baerlocher and his database team have completely revised the Database of Zeoltie Structures on the web. The navigation system has been streamlined and several new features have been added. Check it out! Juna, B., Cho, J., Lee, J.H., Seo, S.M. and Hong, S.B. 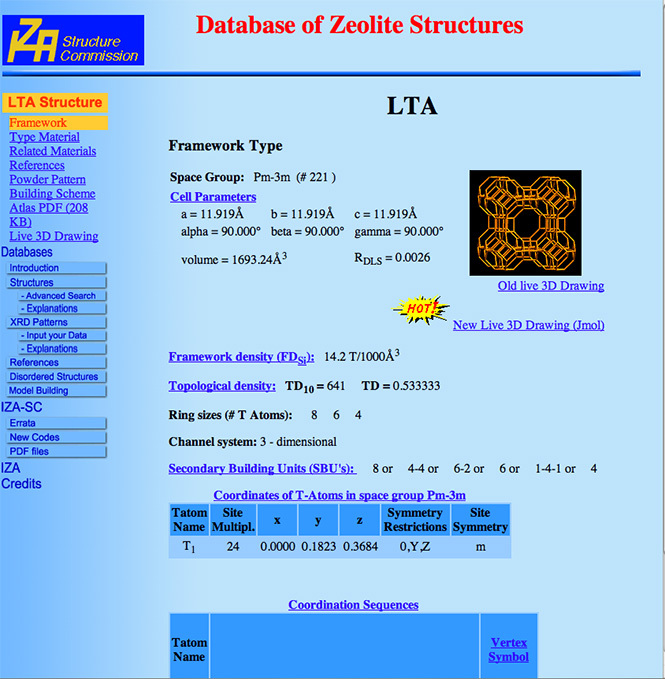 To celebrate this milestone, some significant changes have been made to the Database of Zeolite Structures. The internal organization of the database has been completely reworked and everything has been migrated to open source software. The database is now completely platform independent. It is now running on 3 virtual (commercial) servers situated in Europe, North America and Asia. These servers are run and maintained independently by 3 groups: Christian Baerlocher and Lynne McCusker (ETH Zurich), Christine Kirschhock and her team (KU Leuven) and Wei Wan and Xiaodong Zou (Stockholm University), respectively. The basic layout has been retained for the time being, but a few new features have been added, including a more interactive XPD pattern display. Further additions/improvements are planned, so watch this space. Although we have done our best to check that the database is working properly before putting it online, we realize that some errors may have gone undetected. If you run into any difficulties, please send a short e-mail message describing the problem to Christian Baerlocher. Do you remember when the website looked like this? If you want to learn more about the history of this website, click here. After 15 years of service, Mike Treacy (right) has stepped down as Chair of the Structure Commission. The members have enjoyed his reasoned and diplomatic steering of the Commission during this time and thank him for all the time he has invested in ensuring that the Commission continues to flourish. Fortunately, the Structure Commission will continue to benefit from his knowledge and experience as he will remain on the Commission as an acive member. Jiang, J., Yun, Y., Zou, X..D., Jorda, J. L. and Corma, A.
Guo, P., Shin, J., Greenaway, A.G., Min, J.G., Su, J., Choi, H.J., Liu, L., Cox, P.A.., Hong, S.B., Wright, P.A. and Zou, X.D. Schmidt, J.E., Xie, D., Rea, T. and Davis, M.E. Lee, J.K., Turrina, A., Zhu, L., Seo, S., Zhang, D., Cox, P.A., Wright, P.A., Qiu, S., Hong, S.B. Willhammar, T., Burton, A.W., Yun, Y., Sun J., Afeworki, M., Strohmaier, K.H., Vroman, H. and Zou, X.
Wang, Y., Li, Y., Yan, Y., Xu, J., Guan, B., Wang, Q., Li, J. and Yu, J.